MISSION ESL COMPUTER LAB: "The Rio Grande, Part One" from Voice of America. "The Rio Grande, Part One" from Voice of America. This is Shirley Griffith. And this is Steve Ember with the VOA Special English program, EXPLORATIONS. Today we tell about one of the most famous rivers in North America, the Rio Grande. The Rio Grande is the fifth longest river on the North American continent. It forms the border between the southwestern state of Texas and Mexico. The Rio Grande been has important in the history and development of the United States and Mexico. However, the river has a different name in Mexico. It is called Rio Bravo del Norte. The Rio Grande begins its three-thousand kilometer trip to the Gulf of Mexico high in the Rocky Mountains in the state of Colorado. 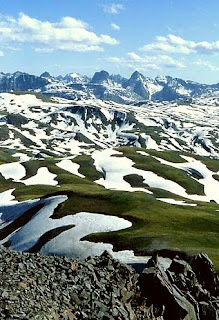 It begins almost four-thousand meters up where the river is fed by melting snow. Soon, other small streams flow into the river, increasing its size as it flows generally south through the state of New Mexico. Its waters flow through deep mountain canyons. Some of them are more than five-hundred meters deep. It continues across great flat plains areas, and deserts, feeding rich agricultural areas along the way. The Rio Grande flows south to the cities of El Paso, Texas, and Ciudad Juarez in the Mexican state of Chihuahua. Then it turns in a southeast direction. Here it becomes the border line between the United States and Mexico for two-thousand kilometers. From this point in the most western part of Texas, the Rio Grande flows east to where the river empties into the Gulf of Mexico. Along its way, the river flows through or past the cities of Albuquerque and Las Cruces, New Mexico, by El Paso, and Ciudad Juarez. The last cities it touches are Brownsville, Texas on one side of the border and Matamoros, Mexico on the other. On its long trip to the sea, the Rio Grande expands as a number of rivers flow into it. In the United States, those rivers include the Pecos, Devils, Chama, and Puerco rivers. In Mexico, the Conchos, Salado, and San Juan rivers provide waters to the Rio Grande. In some places the river is more than ten meters deep. But in many places on the river, there is not much water flowing. This lack of water is a sign that much of the river is used for growing crops and providing water supplies for the expanding population. This is not a new use for the Rio Grande. There is much evidence that the ancestors of the Pueblo Indians in New Mexico used water from the river to grow crops for thousands of years. The Pueblo ancestors arrived in the southwest of what is now the United States about two-thousand years ago. Although their food mostly came from hunting, they grew some crops for food. The Pueblo civilization went through a number of changes over time. Some of those changes were caused by invasions by other Indian groups such as the Navajo and Apache Indians. A severe dry period more than six-hundred years ago also affected the Pueblo civilization. 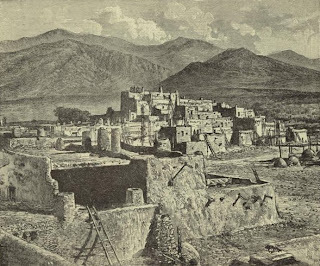 The weather is believed to be one reason some of the great cities of the southwest area were left empty as the Pueblo ancestors moved closer to the Rio Grande. A major change for these people began soon after the first Europeans came to the Rio Grande. In the early Fifteen-Hundreds, Spanish ships sailed to the mouth of the Rio Grande. They first were looking for a way to the Pacific Ocean. Soon they were more interested in searching for riches such as those captured by Spanish explorer Hernando Cortes. In Fifteen-Twenty-One, Cortes conquered the great Aztec Empire in what is modern Mexico. Cortes seized huge amounts of gold and jewels from the Aztecs. Many Spanish explorers heard the stories about the wealth of the Aztecs. They hoped to find similar wealth among other Indian groups in North America. Some explorers hoped that the Rio Grande would lead them to Indian nations that also possessed gold and jewels. The most famous explorer of the Rio Grande territory was Francisco Vazquez de Coronado. He arrived at the Rio Grande in Fifteen-Forty. Earlier explorers of the Rio Grande area said they had heard of great Indian cities on a river in the north. The stories they heard were about cities that had treasures of costly stones, such as turquoise and emeralds. The Spanish explorers also believed there was gold, silver, iron and copper in the mountains to the north. Spain had already taken great wealth from the Incas of Peru and the Aztecs of Mexico. Why not also take the riches of the Indians cities north of Mexico? So, the Spanish viceroy of Mexico gave an order which would change the history of North America. He asked Coronado to lead an army of Spanish soldiers to the north. They were ordered to conquer new land for the king of Spain -- land that the Spaniards called Cibola. 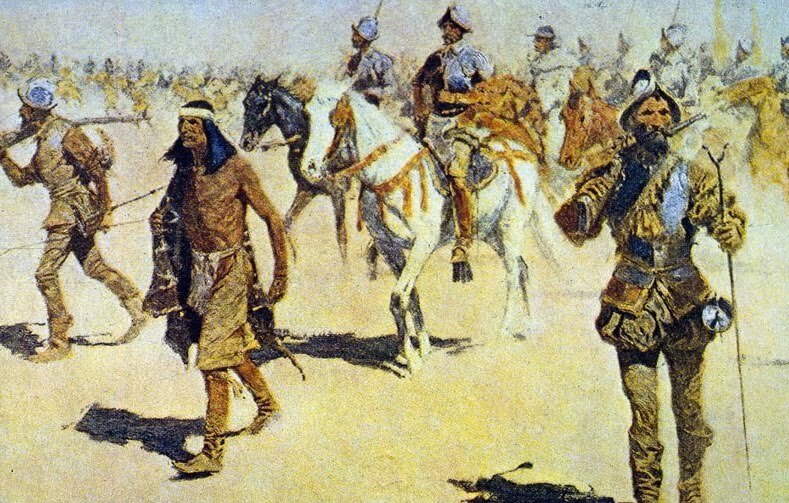 Coronado and his soldiers did not find the cities of gold that they were seeking. Instead they found many Indian towns with tall houses and rich fields full of corn and other plants. The people were peaceful farmers. They did not remain peaceful. The Spanish soldiers did things to the Pueblo Indians that made them angry. So, the Indians decided to push the Spaniards out of their land. The Spanish soldiers won the battles with the Pueblo Indians and destroyed many of their towns. Then the Spanish searched for gold and silver. They found none. They returned to Mexico with nothing to show for their struggles in the areas of the Rio Grande River. Coronado died in Mexico City in Fifteen-fifty-four. He was forty-four years old. After Coronado left the Rio Grande country in Fifteen-Forty-Two, the area again belonged to the Indians. Again the Spanish tried to establish a colony in the area. They tried four times and failed each time. In Fifteen-Ninety-Eight, a large Spanish army marched north from Mexico. The King of Spain ordered that a colony be established on the river north of Mexico. The name of the new colony was to be New Mexico. Traveling with this army were many families, Roman Catholic priests, and thousands of cattle. They established a colony on the river where some Pueblo Indians already lived. The Spanish called it San Juan. The Indians seemed to accept them. But the peace did not last. Suffering and tragedy spread through the land as the Spanish and Indians fought. The Spanish priests and the settlers in San Juan began to protest against the cruel treatment of the Indians. It would be better, they said, not to have any Spanish colony in New Mexico than to built one on such crimes against the native peoples. Finally, in Sixteen-Six, the King of Spain ordered the end of the colony at San Juan. 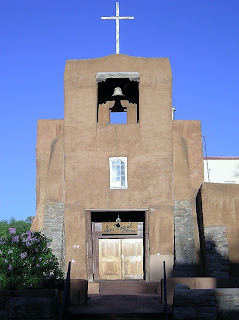 The Spanish settlers left but the Indians remained at what is now San Juan Pueblo. The Spanish would be back. In Sixteen-Ten, a new governor of New Mexico arrived. A new capital was built, called Santa Fe. It still is the capital. This time the goal of the Spanish government was to spread the Christian religion among the Indians. The Brothers of the Order of Saint Francis were not like the earlier Spaniards. At first the Indians resisted them. But, over time, they understood that these men did not want to oppress them. The Franciscans wanted to teach the Indians about Jesus Christ. 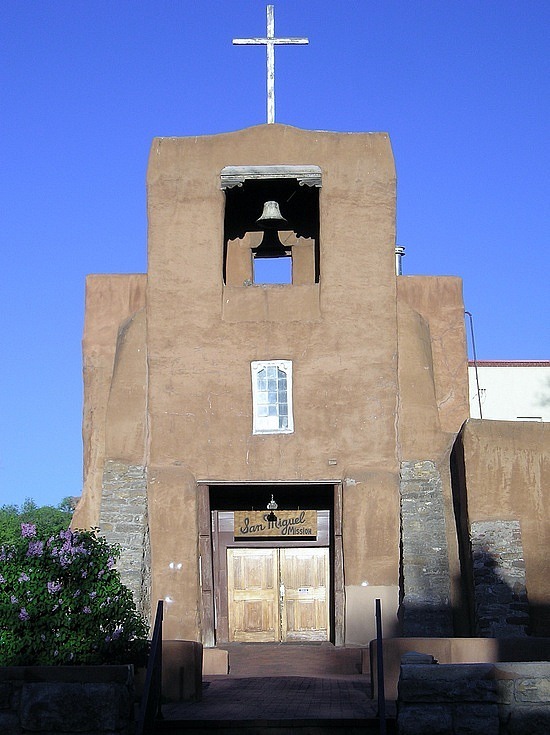 The Franciscans helped the Pueblo Indians build many beautiful churches throughout the area. The churches were built with local materials. They did not look like the traditional churches of Europe. Some of these churches still stand today. They are very popular with artists. The Spanish government and the Franciscans argued about how to treat the Indians. The government wanted to use them as slaves. The Franciscans wanted the Indians to be protected. The Indians were not sure who they should obey. While this dispute was taking place there was a long dry period that caused people in the area to starve. Then, the disease smallpox began taking the lives of many Indians and Spanish settlers. 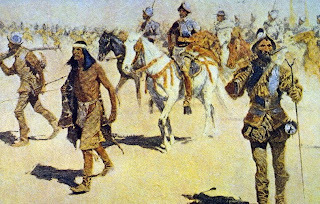 There was a violent rebellion by the Pueblo Indians and the Spanish were forced to leave the Rio Grande area. Yet, they were not to be pushed out for long. This Special English program was written by Oliver Chandler. This is Shirley Griffith. And this is Steve Ember. Join us again next week for the second part of this EXPLORATIONS program on the Voice of America. 1. The Rio Grande forms the border between Mexico and __________ . 2. Lack of water in the Rio Grande is caused by its use for ___________. 3. The Franciscans for the most part wanted to __________ the Pueblo Indians. 4. Coronado and the Spanish soldiers wanted to find __________ . 5. After struggling with the Pueblo Indians, Coronado returned to Mexico __________ . 6. Hernando Cortes seized gold and silver from the ___________ in 1521. 7. ________________ protested against the terrible treatment of the Pueblo People. 8. The first Spaniards called the area north of the Rio Grande __________ . 9. Another name for this selection could be " __________." 10. This selection is mainly about __________ . called "Home". It is a story about our planet, how our species has disturbed its balance, and what we need to do in order to protect and preserve it.